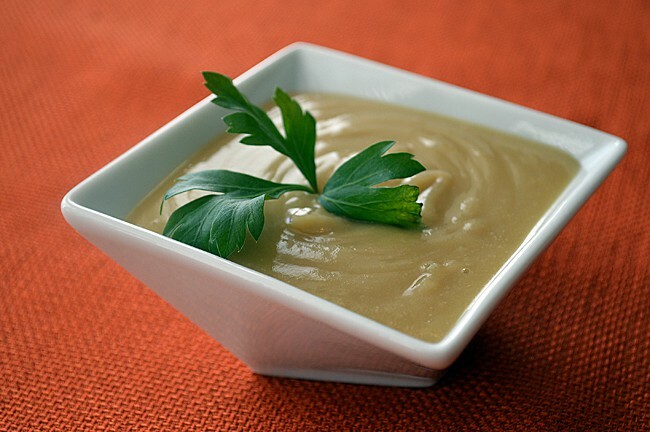 This vegan gravy is perfect for mashed potatos and so close in taste and texture to the real thing, you won’t notice the difference! Nutritional yeast is easy to find in any local health food store and combined here with soy sauce, are the secret ingredients in this recipe. Heat the butter over medium heat in a skillet and saute the diced onion until translucent. Add the flour and garlic powder and saute for another 3-5 minutes to cook out the flour taste. Add the warm vegetable stock and cornstarch, whisking to be sure no lumps form. Bring to a boil and reduce to a simmer, stirring frequently until thickened. Add the nutritional yeast and soy sauce. Reduce heat and cook for another minute, stirring occasionally. 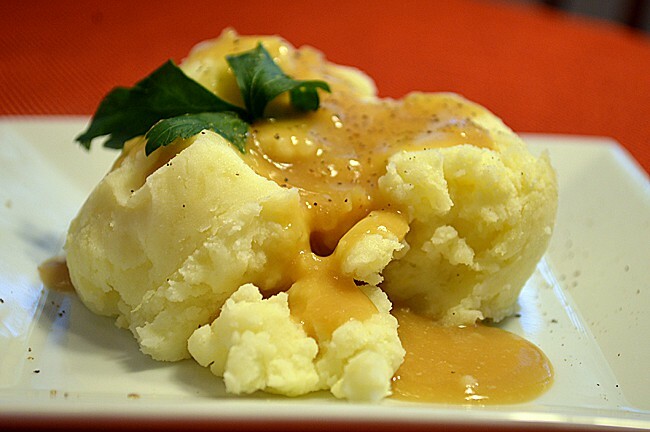 Enjoy over our Sour Cream Mashed Potatos!